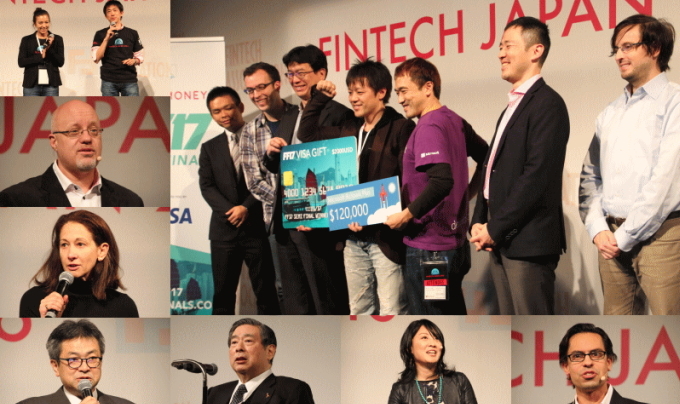 Fintech Association of Japan has been actively involved in creating a supportive environment for Fintech startups, through a range of measures including recommendations for reforming the legal system to nurture the next generation of Fintech talent in Japan, and engaging in working with other organisations to promote innovation in financial services. The value of the Association is generated through the activities from our Subcommittee Meetings. Regular Subcommittee Meetings steered by the chair of the subcommittee (a director) are held on topics of interest to its members, where we are going to keep exploring research on Fintech's innovation capabilities and problems through round tables with various parties. We discuss issues on platform business models, regulatory challenges facing the financial sector, Big Data and AI profiling/scoring models, and efficient method for identification, etc. We discuss banking APIs (application programming interfaces) with people from FSA, METI, Japanese Bankers Association, Financial Industry Information Systems (FISC), etc. We are promoting innovation and growth through legal reform, standardized ecosystem, information sharing, and public awareness. We engage in research and dissemination events, exchange views about KYC and related regulations, etc., aiming at further development of the "Money transfer and remittance" industry which would provide better, quicker and more convenient services. We confer with related organizations including Money Lenders' Association and other authorities concerned on transaction lending or problems in social lending system, etc., and discus on distribution of data that can be utilized for financing. While expectations for technology-enabled innovations or "InsurTechs" in the insurance industry are soaring, we discuss a wide variety of topics within insurance including insurance related laws and regulations, Big Data, AI, Customer Experience (UX). We discuss issues related to Crowdfunding and initial coin offering (ICO) and so on, to overcome challenges faced by Japanese Issuers in the capital markets through new tech, and discuss further steps to foster fair, efficient and transparent capital markets across. Our activities involve improving financial literacy, implementing the provisions of the amended, use of AI technology, policy concerning coordination with Japan Association for Financial Planners, Spare Change Investment, small amount reception/payment, eKYC, etc., in cooperation with the competent authorities, all of which would contribute to the industry consolidation. We integrated the Electronic Receipt Subcommittee and the Payment Subcommittee and created the Cashless Subcommittee. In anticipation of a paperless, cashless future, we discuss with the Ministry of Economy, Trade and Industry and various related parties to solve problems. Also, we promote innovation in the payments industry such as requesting for adoption of open API in the credit card industry. In anticipation of a paperless, cashless future, we engage in standardization for e-receipt format and initiate discussions with METI, POS standards Body, retail companies etc. around problem solving. We engage in activities to promote innovation in the payment industry, that includes consultation between the Ministry of Economy, Trade and Industry and various related parties related to the revision of the Installment Sales Law, and requesting for adoption of open API in the credit card industry. Fintech Association of Japan members have a general membership meeting once a month, where we introduce new members of the association and give pitches about their company, express key characteristics of the association, and provide the latest information such as subcommittee activities, issues with authority, collaboration with domestic and overseas partners, and hosting events. Light refreshments are served after the meeting to provide the attendees the time for socializing and networking. 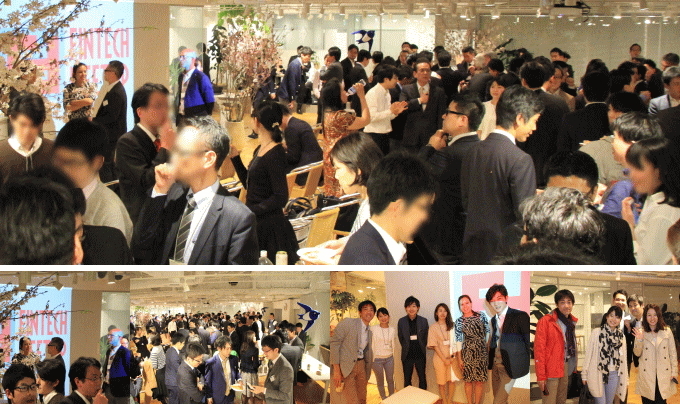 Since October 2014, a networking event “Fintech Meetup” has been held to promote open innovation in the Japanese Fintech industry, and to provide opportunities for domestic/overseas startups and people from financial industry, including financial institutions, VCs, business development officers from major companies, to exchange their views casually. As Fintech Meetup is open to the public, non-members with common aspirations are welcomed. Since 2016, we have hosted the "Fintech Japan" forum inviting prominent experts and entrepreneurs from home and abroad, to discuss Fintech innovation on the global stage. 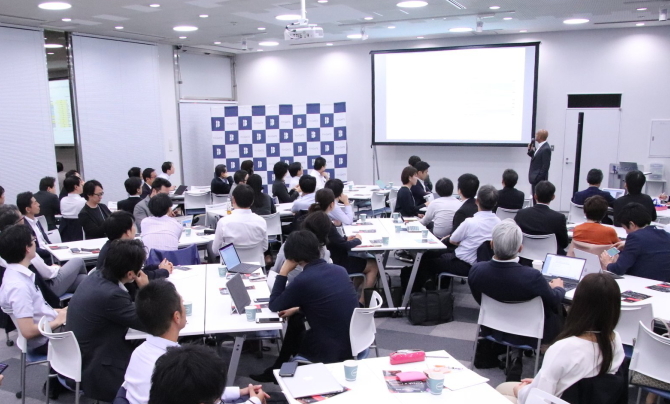 Fintech Japan forum brings people in the Fintech industry together to facilitate discussion on roles individuals might assume, current issues or future directions, and collaboration on how to grow the ecosystem. As it is a public event, non-members can register for the event.